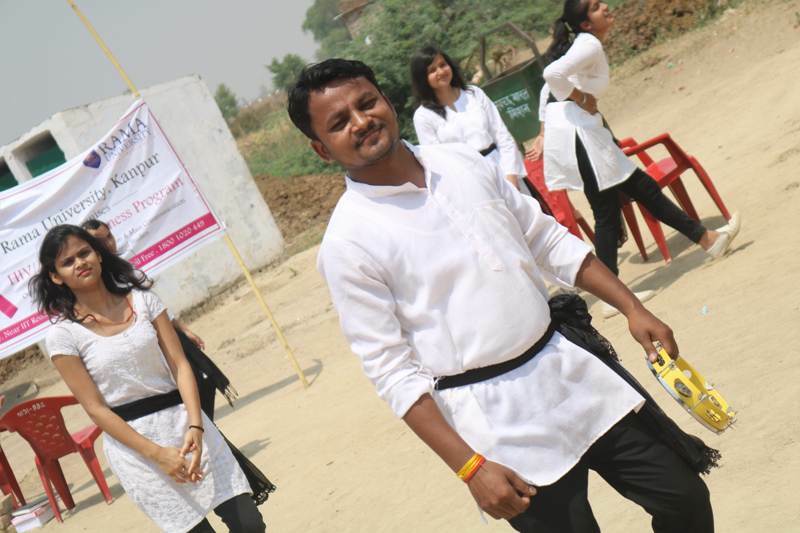 HIV infection is entirely preventable through awareness raising. 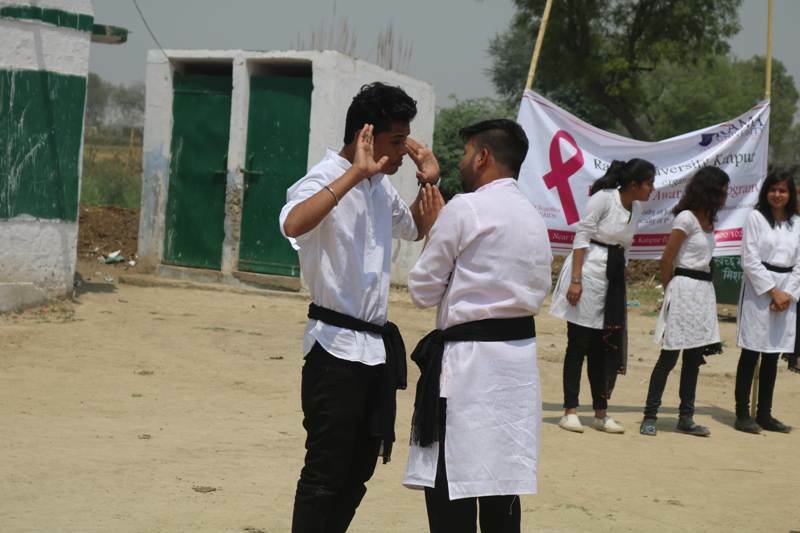 Therefore, awareness program about its occurrence and spread is very significant in protecting the people from the epidemic. 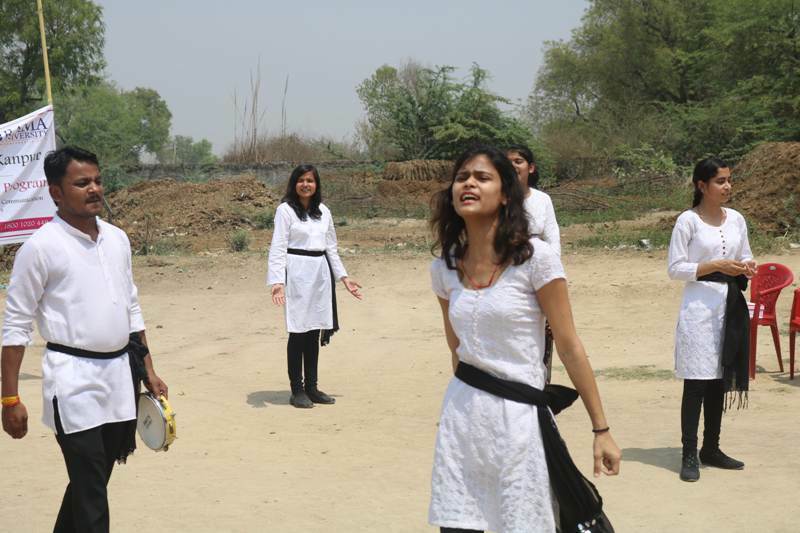 The play was received well with the audience. 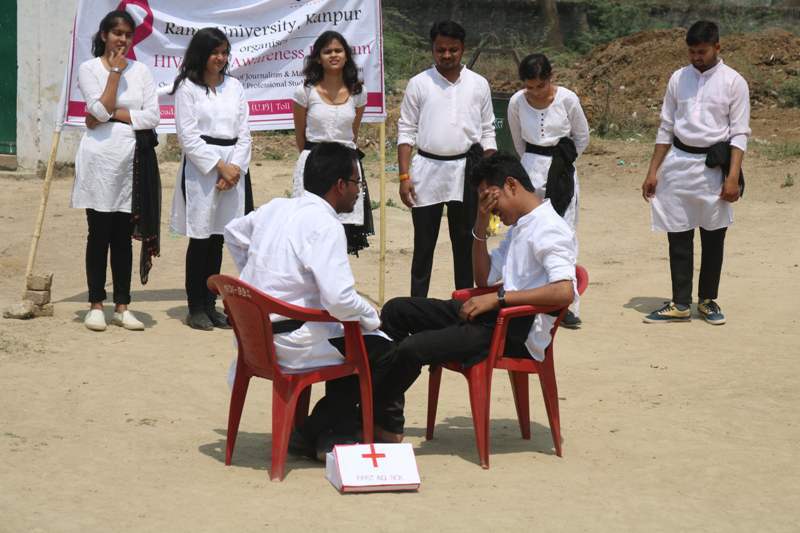 It was narrated by Abhay Singh- MJMC, First Year and Anushka Mishra-BJMC, First year. 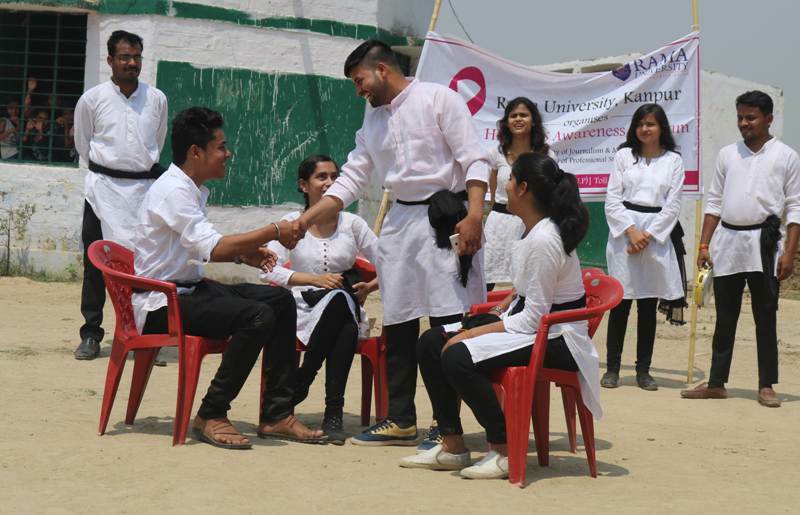 The participants of the street play were Arpit Dixit- BJMC, First Year, Subhangi Mishra- BJMC, First Year, Anushka Pandey- BJMC, First Year, Divya Bajpai- BJMC, Second Year, Aditya Srivastava- BJMC, Second year, and Nishant Pal- MJMC, First Year. 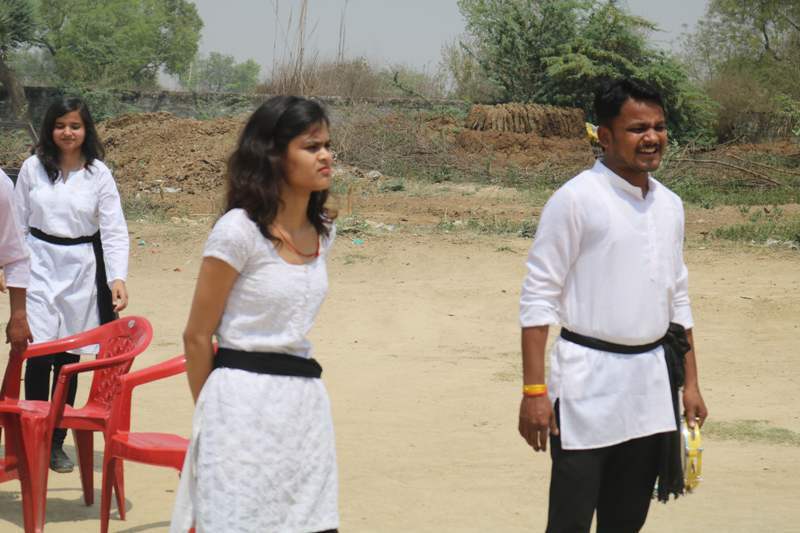 The script was written by Divya Bajpai-BJMC, Second Year and Jyoti Srivastava, PGDJMC. 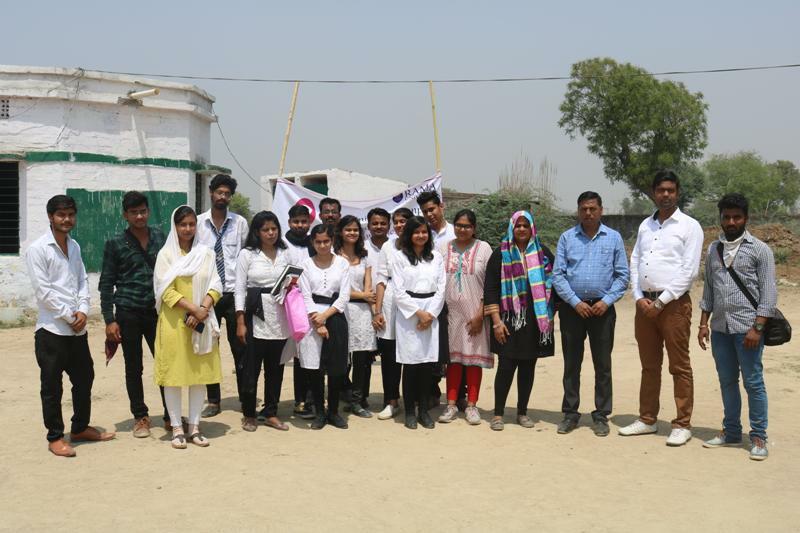 The program was organized under the leadership and guidance of Dr. Santosh Kumar Gautam (HOD, Department of Journalism & Mass Communication-Rama University), Miss Nitika Ambastha, and Miss Nikunj (Faculties of Journalism and Mass Communication).